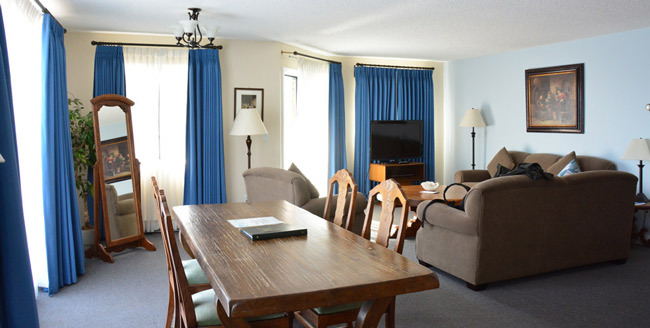 Heron’s Landing Hotel is a great option for your extended stay in the Campbell River area. An apartment hotel, infused with old world charm, Heron’s Landing Hotel is conveniently situated just 5 minutes from Campbell River’s downtown core. Heron’s Landing Hotel offers both one and two bedroom suites as corporate housing, vacation rentals and long-term stays for insurance claims and while relocating. We are committed to providing an enjoyable home away from home for temporary assignments, Campbell River based projects or job relocations. Each suite is comfortably furnished and includes a full service kitchen. An on-site coin operated laundry is available for your convenience.